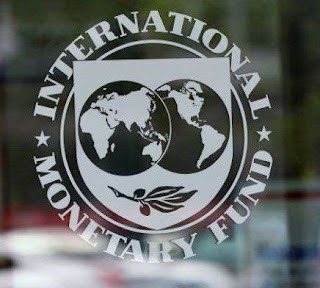 The International Monetary Fund (IMF) in its latest World Economic Outlook (WEO) update has projected growth rate of 7.3% in 2018 and 7.5% in 2019 for India as against 6.7% in 2017. This makes India, the fastest growing country among major economies in 2018-19 and 2019-20. However, India will grow by 7.3% in 2018-19 against earlier estimate of 7.4%, slightly less — 0.1 percentage point in 2018. In 2019-20, it will grow by 7.5% against earlier estimate of 7.8%. This reflects negative effects of higher oil prices on domestic demand and faster than-anticipated monetary policy tightening due to higher expected inflation. Despite India’s slight downgrade in the projections, it continues to outperform China. Growth in China is projected to moderate from 6.9% in 2017 to 6.6% in 2018 and 6.4% in 2019. This is mainly because of regulatory tightening of financial sector takes hold and external demand softens. The global growth is projected to reach 3.9% in 2018 and 2019, in line with forecast of April 2018 WEO. Growth prospects in emerging market and developing economies is becoming more uneven, amid rising oil prices, higher yields in United States Treasury bonds, escalating trade tensions and market pressures on currencies of some economies with weaker fundamentals. WEO is a survey conducted and published by IMF. It portrays the world economy in the near and medium context, with growth projections for up to four years into the future. WEO forecasts include key macroeconomic indicators, such as GDP, inflation, fiscal balance and current account of more than 180 countries around the globe.